For a laidback rural New Zealand experience, check out the rich nature and farming districts in sunny Palmerston North. Located in the heart of the lower North Island, you’ll enjoy lush green landscapes sweeping from the rugged Ruahine and Tararua Ranges and out to the Tasman Sea, making for a diverse outdoors playground. 'Palmy' as it's locally known, plays home to New Zealand's only Rugby Museum – a shrine to a national sporting obsession. Here you'll be fully immersed in the history of rugby, from its earliest amateur days through to its evolution into a professional occupation. At the museum you'll explore the folklore of the game, learn the words to New Zealand's best known haka 'Ka Mate' – which dates back to the 1820s – and you can even test your skills in the 'Have a go' area. For a contrasting taste of culture, head to the Te Manawa Museum of Art, Science and History – a uniquely kiwi facility exhibiting interactive works that passionately reflect the character of this region and its people. You'll walk away with a better understanding of Maori culture. If you're a lover of historic trains and railway experiences, the Esplanade Scenic Railway offers great entertainment. Chug along a 2.2km loop through native bush and colourful flower gardens in the Victoria Esplanade Park. The park itself comprises of 19 hectares of stunning gardens and you'll find bird aviaries, nature trails, a large duck pond, free barbeque facilities and playgrounds. There's also a stylish café here for when you've worked up a hunger. 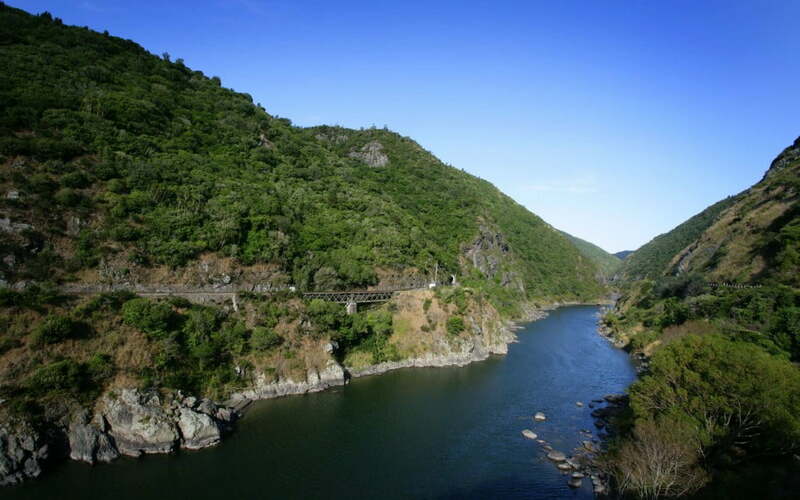 The Manawatu Gorge offers contrasting experiences depending on your preference: you can speed down the ravine on a lightning quick jet boat, or hike three different trails. Just outside town, the Manawatu Gorge offers contrasting experiences depending on your preference; you can speed down the ravine on a lightning quick jet boat, or hike three different trails options. The main trail, known as the Manawatu Gorge Track, is 10kms long – typically a three-to-five hour hike – and treats you to five lookouts with impressive views of the river, railway, nature reserve and nearby wind farm turbines. A shorter 4km loop option is available for a more leisurely stroll. Although 'Palmy' is not renowned for its food scene you may be surprised by the options here. A quick investigation will reveal surprisingly cosmopolitan options including Japanese, Turkish, Cuban and Indian dining.